... along the Great West Road, and the Charles Fox factory the Ealing side of the M4. I remember them taking the chimney down. I have no idea if the factory is still there. Telephone directories include entries for Charles Fox Ltd, bedding manufacturers, Reynard Mills, Windmill Road, Brentford, 1962-1970; the original phone no. was ISLewth 3422. (Ancestry website). The year after Peter took the photos below the company was liquidated (London Gazette, 7th February 1974). 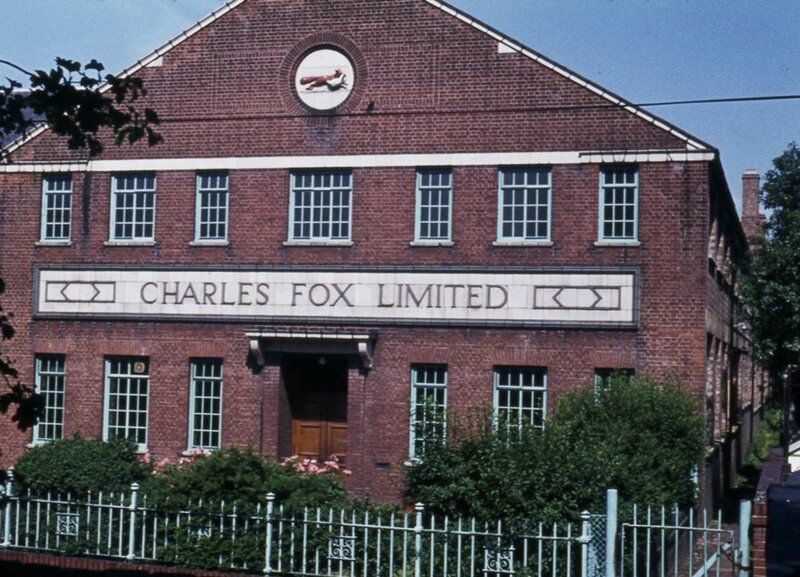 Did Charles Fox make way for Brentford Nylons, which had a factory near to the Charles Fox site? 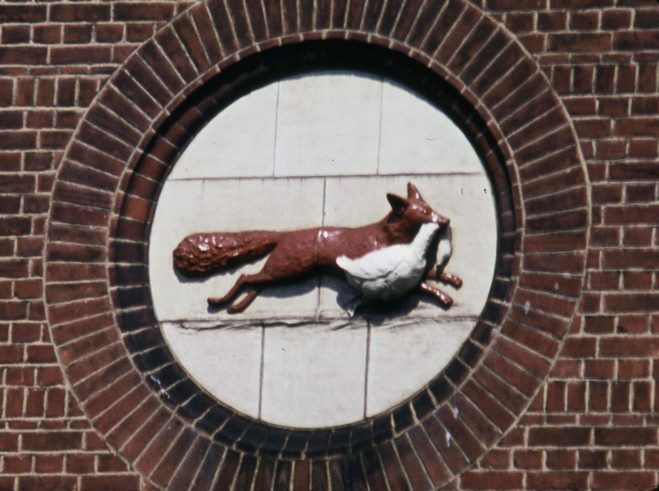 The second image show the fox stealing the goose from the Reynard Mills frontage.